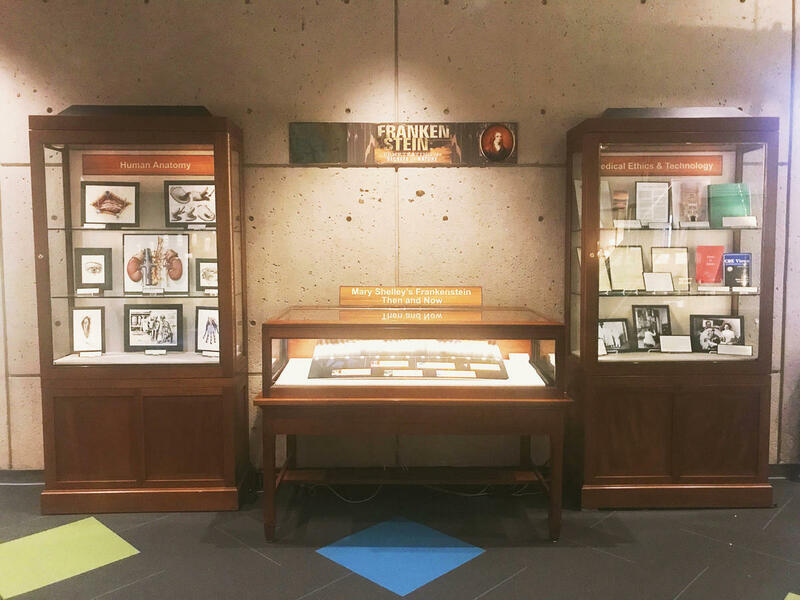 The Medical Center Library is hosting “Frankenstein: Penetrating the Secrets of Nature,” a six-banner traveling exhibition. Developed and produced by the National Library of Medicine and the National Institutes of Health, it displays the abiding relevance of the Frankenstein story to contemporary questions about science and technology. Mary Shelley’s 1818 novel explores individual and societal responsibility through its discussion of scientific advancement and medical ethics. In conjunction with the NLM display, the Library produced a companion exhibit featuring materials from our archival collections. This exhibit highlights additional questions of medical technology and ethics from Duke Medicine as they relate to the timeless themes explored by Shelley. This exhibit may be found on level 1 of the library.